The BSL Platform for Business and Human Rights – On the Move! I am delighted to announce an initiative that is very important for business schools and education everywhere. 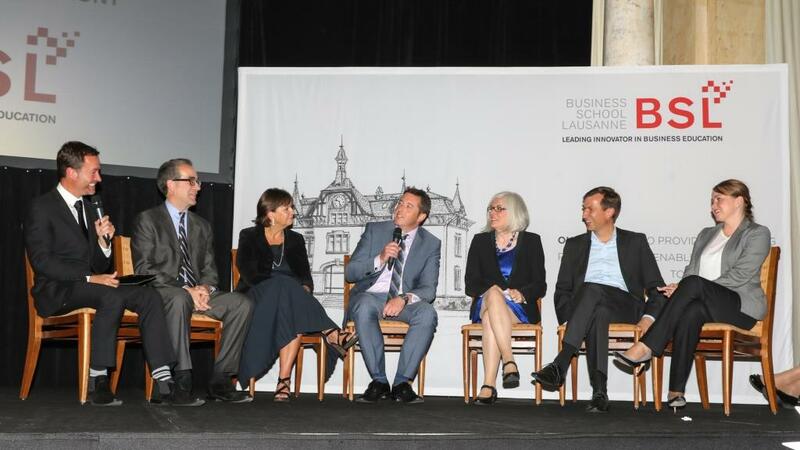 Last Saturday, Business School Lausanne encouraged by Mary Robinson, launched our Platform for Business and Human Rights here, here in Lausanne, Switzerland. What do we hope to achieve with this initiative, you might ask? We would like to be an example for other business schools, law schools, engineering schools and other educational establishments to start thinking about how business and human rights fit together! How do we and how should we educate students to be ethical and responsible in today’s business world. I believe that the first thing that needs to happen everywhere would be to ensure human rights training for all faculty, staff and students in educational organizations. As strange as it may seem, most people find it hard to articulate what human rights really are. The Universal Declaration of Human Rights is something a lot of people have heard about but few people seem to have read or totally understood what it means. This needs to change! Business schools need to talk about topics that need to be discussed, and there are many such burning issues in our complex world today. One such conversation happened with our Fashion Revolution day collaboratory that will took place on Wednesday, 7th October here in BSL. We will follow this up with a conference in November on Human Trafficking given by Matt Friedman, check out his Ted talk, it is disturbing. There are more people trafficked today than in the history of mankind, a terrible threat to human beings and to business. And we intend to continue bringing up such important issues at every opportunity. Watch this space! The Platform has a very diverse advisory board and this will be crucial for us as we move forward. Having representatives from multinational corporations, trade unions, government, environmental organizations, experts on diversity, water, human rights and labor issues will allow us, as a school, to ensure the education that business students need. The first meeting of the board took place on the 26th September, 2015 and a wealth of ideas and suggestions ensued. A few of these ideas seemed extremely important to me: human dignity in the workplace, how to ensure the implementation of the UN Guiding Principles, understanding the rights of people and their responsibilities, consumers and the need to care about the origin of products. A lot of work to do and here – at BSL we are on the move. This entry was posted in Human Rights and tagged BSL Platform for Business and Human Rights, Business and Human Rights, collaboratory, fashion revolution, human rights, Mary Robinson, The Universal Declaration of Human Rights, UN Guiding Principles by bslfaculty. Bookmark the permalink.